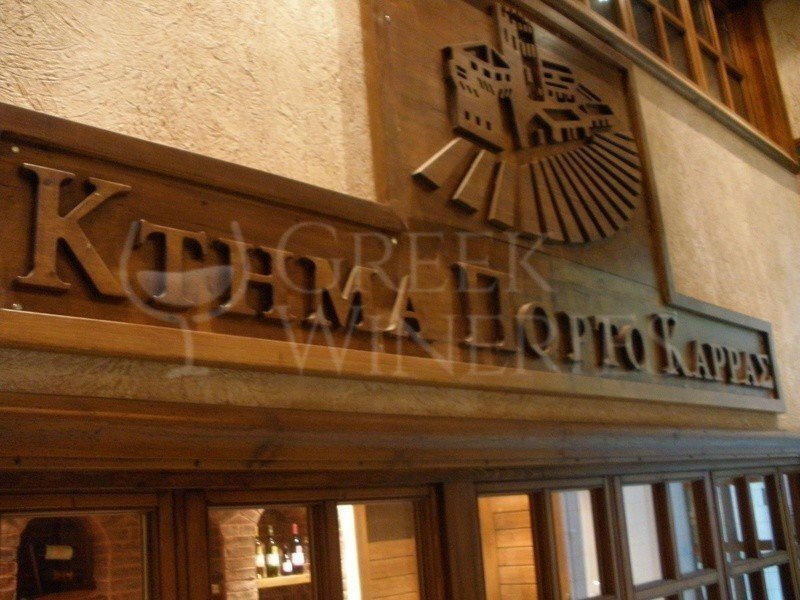 The Domaine Porto Carras is located in Sithonia, Halkidiki and is about 110 km (68 miles) southeast of Thessaloniki’s International Airport, in Macedonia. 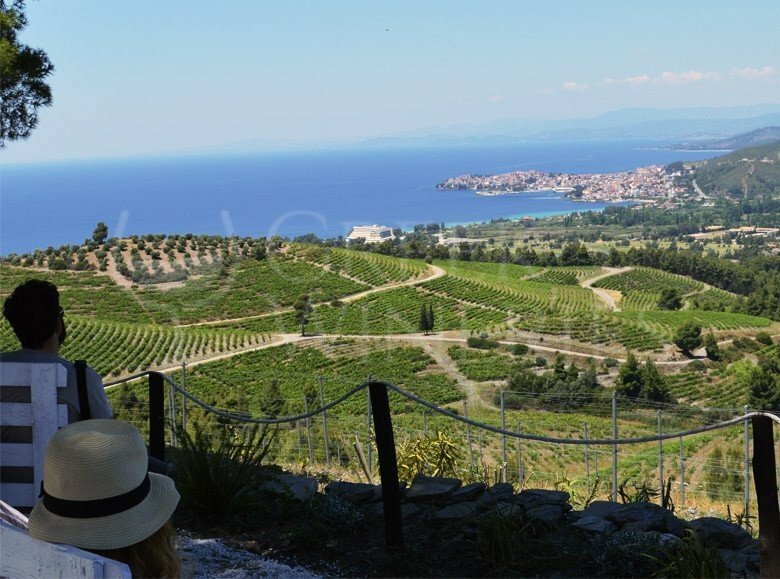 The 45 hectares vineyards of the Domaine Porto Carras are the largest vineyards in Greece and one of the largest in Europe. The vineyards are situated on the slopes of Mount Meliton on the western coast of Sithonia in Halkidiki. 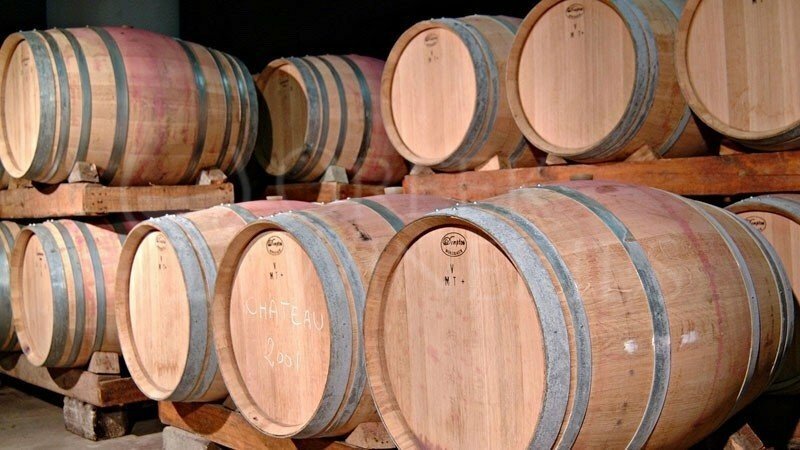 The vineyards were planted in 1965 under the direction of the famous Professor Emile Peynaud from the University of Bordeaux who revolutionized the modern wine industry. Since 2000 the “Slopes of Meliton” has become a model of organic viniculture. Vine diseases are tackled only organically. Protection is achieved by using sulphur, copper and other natural techniques. The wines produced at the Domaine Porto Carras winery are recognized as wines with Protected Designation of Origin (P.D.O.) “Meliton Slopes”. PDO identifies products that are produced, processed and prepared in a specific geographical area, using local producers with their know-how and ingredients from the local region. 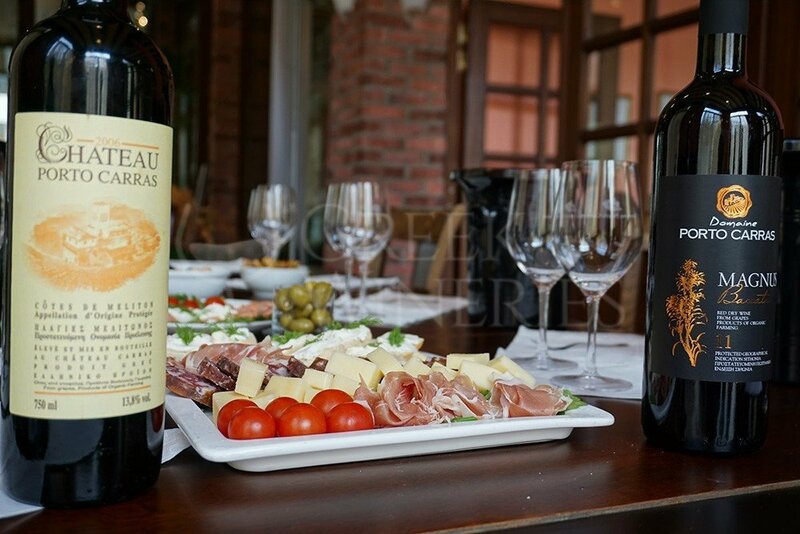 The wines from Domaine Porto Carras have won many national and international quality awards. 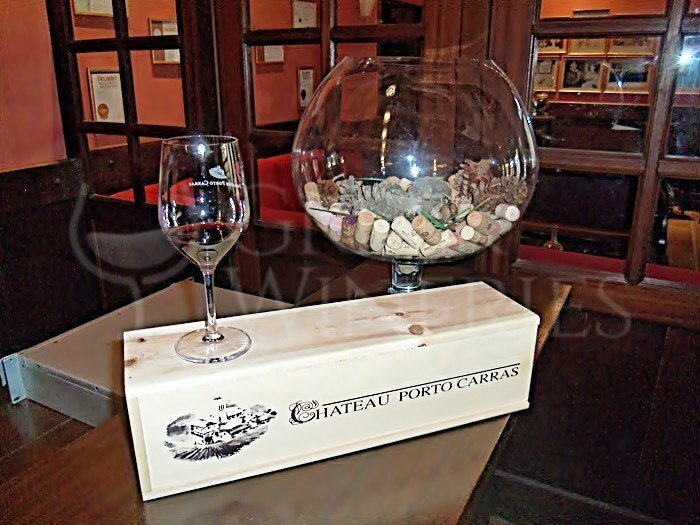 The most awarded wine is their premium brand “Chateau Porto Carras” which has been produced now for over 40 years. In the vineyards 26 varieties are cultivated. The conditions on the south-western slopes at an altitude of 200 – 300 meters allow wine producers to produce high quality varieties such as Assyrtiko, Athiri, Malagouzia, Sauvignon Blanc and Rhoditis. The Greek Limnio is among the red varieties produced. This variety was referred to in texts from Aristotle and is possibly the most ancient variety in the world. Other varieties are Cabernet Sauvignon, Cabernet Franc, Sauvignon Blanc, Merlot and Syrah which grow between 300 – 400 meters on the cooler north-eastern slopes of Meliton. 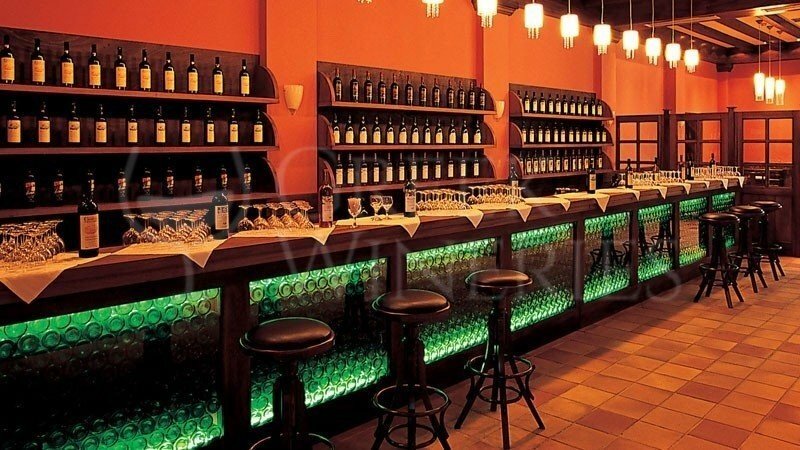 The two-hour wine tour starts from the vineyards and continues to the winery, where the visitor has the opportunity to taste some great wine, accompanied by fine delicacies. The tour continues to the new vineyards with magnificent views and ends with a tour on the exteriors of the historic Villa Galini. Reservations can be made any day of the week between 10 AM and 8 PM. Please make reservations 3 days in advance so as to be able to prepare the best possible presentation for your group visit and/or guided tour. The entrance is free. You can visit or make reservations for wine tasting, any day of the week, between 10 am and 8 pm. Opening days and time: 10:30 on Tuesdays, Thursdays and Saturdays Fee: 15€ /person, 7.50€ /child under 12 years.